Every morning I wake up to a sudden rush of consciousness and take a good amount of time to configure myself to reality. A reality that I am now married and do not have the privilege to be awakened lovingly by my mother. Or to be near her. “Wake up, kitty,” she would coo softly at first before picking me up in her arms till about I was nine years old. She also fed me with her hands till I was ten; I wouldn’t eat otherwise! Today is Mother’s Day, a day when mothers over the world would be serenaded for their infinite love. I am taking the effort to remember everything she did for me as a daughter and which I took for granted. Perhaps, this is an escape route for my guilty conscience but strangely she has never expected me to be grateful. Today we will talk on the telephone as is usual on weekends and share about everyday woes regarding house chores. And we will argue again that I am not taking required care of my health along with work and family. Mum said it’s a genius idea, that we would always cherish its memories, only this tree is too big for us. We were all under three to four feet in height and the first branch of that tree was at least at three times our height. We searched for younger trees in the grounds but found nothing suitable for us. Finally, we climbed a water tank and stayed there with some tiffin boxes and water bottles with us. A little less adventurous than a day on a tree but fun nevertheless! Many years later I realised the importance of what mum had taught me that day and indeed these are very practical words of advice to a growing up daughter! Do not fear to take risks but also calculate before you do that, so that you know what is at stake. Another memorable incident was when the first showers of rain had hit Mumbai bringing on the severe monsoons when I was in senior college. The day had just started with a pleasant cool weather that belied the hot summer just exiting around the corner. And then it began pouring large coin-sized drops of rain. Thick grey clouds formed a sheet around the sky hiding the sun behind them. There were intermittent bouts of lightning followed by thunder, with a heavy shower of rain just falling nonstop. The academic year had not yet begun and I began to dread the thought of heavy rains, flooded roads, painfully slow traffic and all the muck through which I will have to wade through to college. In my mind I’ve always maintained Mumbai to be the worst city during monsoons and always wished to get out of there. Moreover, a patch of road between my home and college would get severely flooded even with half a day of nonstop rain. But, very soon all of that changed for me. Mum said, “Let’s go to the terrace”. “What!” I exclaimed and she managed to drag me along up three floors to our building terrace. There she and I got wet in the rains, holding hands at first and then letting go to enjoy pure bliss on our one. I was reluctant at first and also began to shiver but then the magic of rain drops on my skin had worked. It was the most beautiful experience I had ever had. Feeling drops of rain falling free from the sky right onto your skin is the most enriching shower one can get. It cleanses your soul most of all. Rain was fun and Mumbai became tolerable. This piece of learning has served me quite well over the years, where I look at Mumbai rains as a metaphor for life’s challenges. No matter how many hurdles are there on your path, you need to accept them, enjoy them so that you can learn something from them. There are many more stories that have spotted my entire life like pearls of wisdom. Yet mum never takes credit for all that. She believes it to be her duty to shape up her children’s character, make them strong from within, just like all mothers do. The next time I talk to her, I’ll not argue when she says I’m not taking care of myself. Instead, I’ll take care of myself, as that is the only gift I can give her. Yes, God could not be everywhere, and therefore he made mothers! In 1947, India faced an uncertain yet jubilant future sparked by the British retreat. The Congress and the Muslim league had major difference of opinion regarding the new independent nation. Jinnah of the Muslim league was of the ideology that a new nation needs to be established purely based on the Quran – the holy book of Islam and that true followers of Islam will not find justice in an independent India or Hindustan or Land of the Hindus. 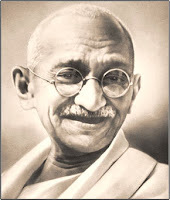 Gandhi, the apostle of non-violence, the father of the nation gave his nod. The British got to divide her although they no longer would rule! Like every birth involves the umbilical separation, an emotionally evolving process, the birth of the new nation was too. It became to be called the ‘Partition’ and that new piece of land called Pakistan or the ‘Land of the Pure’. In this Land of the Pure, some twenty years ago a boy named ‘Mohammad Ajmal Amir Kasab’ was born. They taught him Urdu and the Quran. They taught him the religious ways of what they believed to be pure and also the need to cleanse the impure as per the holy Quran. He believed that the Quran indeed sanctions killing innocents to restore the purity. He learnt dutifully as any staunch Muslim would do and should do. He came to Mumbai along with nine other such ‘misled’ young boys on a cleansing mission. They did manage to cleanse the corruption that was quite rampant in Mumbai power circles but Allah knows if they cleansed any of the ‘impure’! Allah knows who’s mission it was that got fulfilled! They triggered quite a hysteric reaction among the common people who didn’t know where to go for help. Unfortunately, the other nine died in their cause, leaving Kasab to come to terms with his ‘learnings’ and the ‘fruits of his labor’. He does this in Arthur road jail in central Mumbai which is in the Land of the Hindus by the way. Whiling away his time in prison, as Hindustan and Pakistan fight it out with a 11,000 page charge sheet against him, Karma, the cycle of cause and effect brings him face to face with Truth and Non-violence. He now reads the Urdu translation of the Mahatma’s autobiography ‘The Story of My Experiments with Truth’. Nearly, sixty years have passed with this influential book circling around the globe, but was there any possibility that this boy would read this book in the very land his ancestors had chosen to abandon? Posted on March 22, 2009 April 19, 2014 Categories Life 2.0Tags Mumbai, reflections, spirituality29 Comments on Kasab and Karma! Pakistan officially admits Kasab its national !! Pak registers case against Kasab under Terror Act !! ………………and the list of Kasab headlines keeps getting bigger and bigger and I wont be surprised anymore if this will grow along with Kasab and die off along with him either entering old age or death in some obscure high security prison either in India or Pakistan! Ever since the gruesome 26/11 Mumbai terror attacks, I see, read and hear the name ‘Kasab’ just about everywhere – in newspapers, in news channels, in gossip. And every time I see, read or hear ‘Kasab’, I try to join the little bits and pieces of the Mumbai massacre like a giant jigsaw puzzle but alas, I don’t seem to progress anywhere at all. Every two days there is a contradiction and then we even had Pakistan claiming that Kasab is dead! What a f*****g joke! We, the highly intelligent Indians are proud of our national heritage and history but forever in need of other countries to solve our domestic issues. A bunch of kids wade through the waters and create havoc along their trail killing nearly 200 people and injuring many more. One of them is caught alive after a much dramatized capture by the National Security Guards and the world isn’t spared afterwards too… the national media along with their equally incapable counterparts from the international scene break in for a piece of the pie. Anybody and everybody wants to showcase to the world that they have better ‘analysis’ of the entire psychology behind this ghastly attacks. Pakistan is confused about what to say and what to hide – what with their own home-grown backyard terrorists pointing a gun at them and making them repeat like parrots. One day Kasab is a non-state actor, the other day he is dead and next day he is not the one whom India claims was present at the scene of crime. BS!! And all this while Kasab has been singing like a canary after being televised live with his weapons and plan of attack/strategy, either to mislead or out of utter resignation from his alma mater and godfathers residing there. He is only 21, he might as well start writing his autobiography right away of his so-called adoption and the subsequent abandonment by the non-existing father and godfathers. Or he could request the humanitarians to get him transferred to Tihar jail where he could further his creative pursuits, do an MBA or Phd in humanity or transform into an ‘enlightened’ being – ‘Swami Kasabananda’, what with meditation being a daily norm there! I’m sure that Ramu or some bollywood director is scripting Kasab’s story as I type this and will only get it out after 10 years or so for fear of being judged as unpatriotic or ‘money-digger’. I’m also sure that the only human being on earth – Arundhati Roy is writing her next ‘booker prize’ story on Kasab! And I’m dead sure that there is indeed a ‘God of big and small Terrorists’ somewhere in Indian-occupied / Pakistan occupied piece of land / water, who protects the fallacies of ‘self-appointed-ethnic-cleansing’ organizations and their innocent lackeys operating in non-states and other not surprisingly ‘inaccessible crevices’ in our globe or outer space! And we Indians keep saying ‘Give peace a chance!’ while fighting amongst ourselves all the while. ….….another f*****g joke, I say! Posted on February 11, 2009 April 19, 2014 Categories Life 2.0Tags Mumbai, reflections16 Comments on The God of big and small Terrorists! Never once doubts a deed! Sadly, no guts for a mutiny! Is love a contract or a bond? Need it be paid thus? This is my contribution to this week’s 3WW (Three Word Wednesday). Help spread the fight against terror. Sir, I wish to introduce myself as a ‘Common Mumbaikar’, who after years of indifference has become numb to the vagaries of a Mumbai Life! The recent massacre has led me to believe that I am indeed ‘Impotent’. I wonder whether I have a right to celebrate on Jan 26! This letter to you is a desperate appeal to help me and the one billion Indians that are feeling equally miserable. Where was I when some people, we label as ‘terrorists’, killed my brothers and raped my sisters? Why couldn’t I hear the horrified screams of their orphaned children? Well, Sir, as I’ve already mentioned that I stay in Mumbai, which is so ‘very far’ from these rotten things, you know the places where these rotten things are a norm- Kashmir, Assam, Orissa..and sometimes Delhi, Bengalooru, Hyderabad…So I thought ‘What have I got to do?’, I have enough screams to hear and enough orphans to deal with here in Mumbai itself! Every now and then, there is a bomb blast and the system breaks down; the authorities go into hiding and inevitably the courageous Hero would be the ‘Common Man’. Well, Sir, I have brought the ‘Common Man’ intentionally here. As a reader of your esteemed newspaper ‘The Times of India’, I am a die-hard fan of your daily strip ‘You said it’ by the greatest ever cartoon illustrator: ‘R K Laxman’. It so correctly depicts the Common Man as a silent spectator of the system. In the cartoonist’s own words, the Common Man symbolises the mute millions of India, or perhaps the whole world, a silent spectator of marching time! He represents the hopes, aspirations, troubles and perhaps even foibles of the average Indian. I gather you know what I’m coming to. My problem with you is this: Just as the Common Man, Sir, your newspaper too stands as a mute spectator all these years! Whenever a system crashes down, your esteemed newspaper would be the ‘first’ to bring us the ‘esteemed news’. And then in the race to be the ‘first’ to bring the next big news, Sir, you forget the burning past. I agree, Sir that you are the highest English language newspaper and in your own words, ‘very liberal’. But, it has occurred to me lately that you represent the masses. You are considered as the ‘Fourth Estate’ not for a rhyme, but for a reason. You, Sir should be publishing the ‘voices of us, commoners’. You should personify the woes of every Indian not just in a cartoon. You should take the lead in asking the ‘Why’s?’ from all our leaders, irrespective of which party they belong to or which party you support. Our nation, no doubt invariably follows a pseudo-democracy. Where is the ‘For the people’ part? Why it so happens that, after the people are chosen by the people, the ‘chosen people’ easily transform into ‘politicians’. Forgive me, Sir, but ‘politics’ isn’t about managing any more, it has become a ‘murky thing’, and all this while you, the Fourth Estate just looks on…refuses to act. With all the powers that make you what you are, you should be the one to bell the cat. Yes, Mr. Editor, the time has come for you to actually put into practice, your sole purpose of starting this esteemed newspaper. We Indians need to start a revolution now with an apt war cry. And so, we need you to voice this war cry. For if we don’t start now, there won’t be any Indians left! And then I wonder Sir, who would read your ‘esteemed newspaper’! Is this asking for too much? The recent spate of events in Mumbai have sparked a rather disturbing but funny trend analysis in me. Given that it all started since 1993 blasts, I sure have collected pages and pages of data on the said analysis on a Comman Mumbaiite. So, let me introduce a Common Mumbaiite, one may imagine R. K. Laxman’s Common Man. Yeah, a picture is worth a thousand words but I’m no cartoonist. Please bear with the words till I hone my cartooning skills! Common Mumbaiite – The common man/woman one sees walking in the streets, who never indulges in any kinda warfare; who believes in Ram, Christ and Allah, who visits Siddhivinayak temple at Dadar every Tuesday, St. Michaels church at Mahim every Wednesday and the Haji Ali Dargah on Friday; who breathes the heavily-polluted air all the while jammed in heavy traffic; who pays his taxes before time and also ‘haftha’ to the local hooligans, petty civic workers and/or police; who finds ‘bomb blasts’ utterly passe; who worships ‘Sachin Tendulkar’ as a Hero; who dreams of becoming the next ‘Dhirubhai Ambani’; who mentally and physically prepares to face the fierce monsoon lashes; who casually saves another life, putting his own in danger or losing it altogether while the authorities look on…. ;who dies of body but not of spirit. What is the probability that a Common Mumbaiite dies from the pollution he lives in, given that he inhales as much CO as he does O2? …… dies from toiling his a** out in order to combat the ever increasing cost of living, vegetables and real estate prices? …… dies from heart disease given the high levels of stress, fast life and fast food? …..dies from brain disease given that he ‘has to’ use most of it in his survival strategy from the authorities and the so-called law and order system? …..dies from the ‘malaria’ caused by special Mumbai-bred mosquitoes given that these mosquitoes have mutated over the years just like him? …. dies from crossing the railway track since the ‘authorities’ forgot to build the ‘foot over-bridge’? ….dies while crossing the road given that he has to break pedestrian rules as he is already late for work due to the f***ing traffic? ….dies when a local corporator and/or police barks at or bites him given that he deals with them almost right from his food, water, clothing and shelter to a kindergarten admission for his kids? ….dies when he is considered a threat to the ruling party and inadvertently comes in the line of fire given that the ‘Z’ category security of our beloved ministers, VIPs shoot almost anything that comes in visible range? …dies from a bullet given that he is always ducking them in trains, buses, temples and crowded places and is now a trained expert in the same? …..dies from a bomb blast given that a blast has occured just inches away from him decorating him with shrapnel and blood, his own and some others, most of his life? P.S. 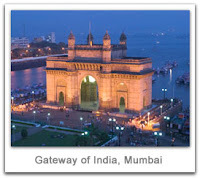 : This trend holds true only for Mumbaiites. In cases of death other than Mumbaiites, the trend would be reversed! And, yes, no more beauty tips from the kitchen, I’d rather give a beauty tip from my soul. C for Courage: No beauty is complete if there is fear within. Courage is the only answer to the Devil. Stand fearless, the world salutes thy soul! Posted on November 29, 2008 April 19, 2014 Categories Life 2.0Tags common man, empathy, evolution, humour, Mumbai19 Comments on Essentially Mumbai death statistics! of what is and what isn’t?